In 1944, the family moved to a rambling haven south of Great Falls and next to the Missouri River. By then, they had welcomed their third child, Christopher, begun escaping to a rustic cabin on the Rocky Mountain Front, and celebrated Dr. Schemm’s growing prominence in heart research. The family’s friendships included artist Fra Dana and literary lights Joseph Kinsey Howard and A. B. Guthrie, Jr. Household help and a quiet study of her own allowed Walker her most productive writing years before Schemm’s death in 1955. Winter Wheat gained a new life in this Bison Book edition by University of Nebraska Press. Montana Center of the Book chose it for “One Book Montana” in 2003. 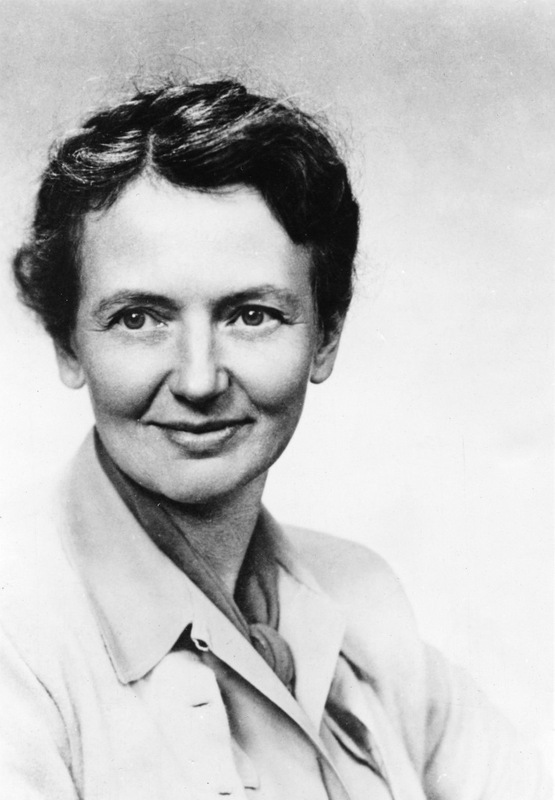 During Walker’s twenty-two Montana years, she taught her daughter to clear a table properly; sold Great Falls Junior League state fair tickets; hosted afternoon teas and dinner parties; typed her physician husband’s research papers; and published nine of her thirteen novels, including two of the three set in the state. In short, Walker first experienced and then captured the hardship, fellowship, loneliness, and ambiguities that have defined life for many Montana women across time and across the region’s topography. Hence, at the beginning of World War II, Winter Wheat’s Ellen Webb heads from her family’s farm to school in Minnesota, impatient to gain the grace and erudition missing in her hardscrabble, windswept High Plains life. The college boy she brings home mocks rural Montana and cannot cope. Economic realities require her to take a teaching position in an isolated one-room school. Loss and loneliness force her to wrestle with how she understands her tough Russian emigrant mother, her parents’ partnership, and her own choices. Walker ultimately accords Ellen a measure of acceptance and appreciation for Montana’s unforgiving wind and her mother’s work-reddened hands. She employs winter wheat as a metaphor for how women—and men—grow through tough times. In The Curlew’s Cry, Walker again peopled her Montana setting with capable twentieth-century women uncertain about how to live with or live beyond the West’s cowboy myths, survive the huge lonely land, and honor their own consciences. Pamela Lacey divorces her Eastern husband and, though ridiculed by the men in her community, makes a go of turning her father’s cattle operation into a dude ranch. Small-town milliner Madame Guinard and Pamela’s lean, tough-talking friend Rose Morley—described as “a broom with an apron and shawl tied to her” and patterned after one of the Walker family’s colorful Missouri River housekeepers—give her relevant examples of how to be an independent woman. And still, the curlew’s cry—loneliness—defines Pamela’s life. If a Lion Could Talk is Walker’s only Montana-based novel set in the nineteenth century. In it, she re-creates the real Fort Union fur magnate, Alexander Culbertson, and his elegant Blood Indian wife, Natawista, as Fort Benton’s fictional Major Phillips and Eenisskim. When New England missionaries Mark and Harriet Ryegate step into this multicultural frontier world, their lives slowly begin to unravel. Mark’s proselytizing fails, he finds himself drawn to the exotic Eenisskim, and Harriet wants only to return to the East and their old lives. Walker allows the foursome to wrestle with the choice of physical and spiritual homes—wild and challenging lands or conventional territories. Walker left Montana abruptly after her adored husband’s death—the memories too powerful to endure—to teach at her alma mater. Later, retired from Wells, she lived for a while in her birth family’s Vermont home, traveled, and published two more works. She returned to Montana to summer at the Schemm cabin on the Rocky Mountain Front and later to live near her daughter in Missoula. Though each of her novels enjoyed measured acclaim on publication, Walker’s visibility lagged in later years. Readers know her now through the University of Nebraska Press’s mid-1990s reprints, though still not as well as the male authors she entertained around her dining table in Great Falls. Andre-Beatty, Pandora. “Disrupted Conventions: Gender Roles in Mildred Walker’s The Curlew’s Cry and Winter Wheat.” M.A. thesis, University of Montana, Missoula, 2007. Blew, Mary Clearman. Bone Deep in Landscape: Writing, Reading, and Place. Norman: University of Oklahoma Press, 1999. _______. Introduction to The Curlew’s Cry, by Mildred Walker. Lincoln: University of Nebraska Press, 1994, 1-7. Hugo, Ripley. Writing for Her Life: The Novelist Mildred Walker. Lincoln: University of Nebraska Press, 2003. McNamer, Deirdre. Introduction to Unless the Wind Turns, by Mildred Walker. Lincoln: University of Nebraska Press, 1996, vii-xiii. Welch, James. Introduction to If A Lion Could Talk, by Mildred Walker. Lincoln: University of Nebraska Press, 1995, vi-xiii. _______. 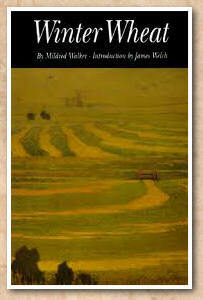 Introduction to Winter Wheat, by Mildred Walker. Lincoln: University of Nebraska Press, 1992, ix-xiii.